Look at target opponent's hand and choose a card from it. That player plays that card with his or her own mana, but you make all decisions it calls for. 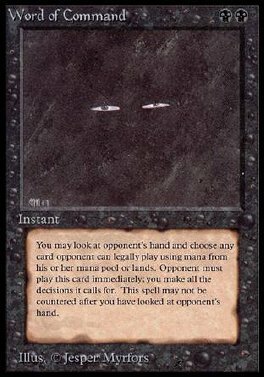 The player is required only to use mana in his or her mana pool and mana that can be drawn from lands.